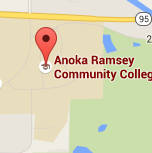 Have you applied and been admitted to Anoka-Ramsey? Welcome! Now that you are admitted as a new student, a new international student, or a new PSEO student, you are required to sign-up and attend an in-person orientation session. After you attend a session and meet with an academic advisor, the orientation hold on your account will be removed. Below, you will find instructions on how to sign-up for a session and links to the different types of orientation sessions we offer. In the section below, choose the link that reflects your student type and preferred campus. On the new page that appears, select the link for the date/time of orientation you would like to attend. Fully complete the online sign-up survey that appears. If the session you choose is closed, you will be prompted to choose a different session. Save the confirmation email we send you to your email you included in your sign-up survey. You must see a confirmation page that verifies you have completed the survey in order to have reserved the orientation session you selected. You must sign-up for an orientation session in order to attend. No walk-ins are permitted. For students who have graduated high school or received their GED. 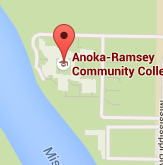 For students who live outside of the US and have been admitted to Anoka-Ramsey. For current high school students who have been accepted to PSEO. PSEO Students must attend a PSEO-specific orientation session. Signing-up for a general orientation session will not be permitted. Need to Cancel Your Orientation? Scheduled your orientation session, but you need to cancel and reschedule? Use the links below! Choose the campus where your original session was scheduled and complete online survey to submit your cancellation request. Kick Start is a special event just for students new to Anoka-Ramsey. After orientation, new students are encouraged to consider registering for Kick Start to get a campus tour and more.